One of the main concerns on the mind of many people these days is the environment and sustainability. But people are also concerned about the rising costs of their energy bill. Photovoltaic (PV) technology, aka, solar panels, can take care of both of those problems since they use the renewable resource of solar energy and do not create any harmful greenhouse gases. A solar panel array can also result in a significant reduction in the utility bill of the home on which it is installed. These are just a few of the reasons to have solar panels. Agoura Hills residents can experience all of the benefits of a solar installation by contacting Pacific Green Homes. We will help you to learn everything you need to know about solar panels and why they are such a boon to any home that has them. Agoura Hills, like all cities in California, is a perfect candidate for solar panels; in fact, they have an incentive program in which residences can participate. This program reduces the building and safety fees for the installation of a PV system by a remarkable amount. Permits and fees that once cost over a thousand dollars can now be obtained for hundreds instead. Another reason why Agoura Hills is a perfect candidate is the climate. It is one of the reasons people enjoy living there and it is also why solar panels work so well there as well. Agoura Hills receives an average of 286 sunny days each year and the average temperature is 84°F in the summer and 47°F during the winter. This gives Agoura Hills a pleasant, temperate climate that is perfectly conducive to solar panel installation. The average electricity rate in Agoura Hills is 15.98 cents per kWh (kilowatt hour), which is higher than the California average rate of 15.34 cents per kWh, which is in turn higher than the national average rate of 11.88 cents per kWh. However, California’s energy use is lower than the national average, 573 kWh per month compared to 903 kWh for the rest of the country. These numbers mean that Agoura Hills residents stand to benefit greatly from a solar panel array. The reduced cost of the monthly utility bill will make the installation worth the expense. That reduced bill will result in thousands of dollars worth of savings during the life of the solar installation, which is about twenty to twenty five years. This means that the payback period for the average installation is about five to seven years, so the majority of the PV system’s lifespan will be spent saving the homeowner money. Solar panels are available at various price points depending on their power output and the size of the array. The size of the array depends on the size of the roof, but the power output of the array can range from 3kW to 12kW, most residential buyers usually choose a 5kW system. However, if their monthly power needs are fairly low—as they are in Agoura Hills—then a lower power system will suffice. As expected, the more powerful the system, the more expensive it is; in California, a 3kW system costs an average of $13,080, a 5kW costs an average of $19,950, and a 10kW costs an average of $34,400. These costs are before the Federal Government’s rebate program, which offers a 30% rebate for the purchase of solar panels. This can save homeowners thousands of dollars on the cost of installation, so a 3kW system can be obtained for about $10,000. The energy savings are the most immediate benefits of a PV system, but there are many more besides that. A solar array greatly increases the value of the home by thousands of dollars, the reason being that a home that can generate its own electricity, and save the owner money, is very valuable on the real estate market. Any Agoura Hills home with solar panels installed is also eligible for the net energy metering program. This program gives the homeowner credit for any excess energy produced by the solar panels. If the panels produce more energy than the home needs, then that excess is fed back into the grid. The homeowner receives a credit based on how much energy is fed back into the grid, and that credit is applied to their next energy bill, reducing it even more. Another reason is the benefit to the environment, the installation of just one solar panel installation is the equivalent of planting hundreds of trees, in terms of carbon monoxide reduction. Solar power also reduces water pollution and limits dependence on oil, a non-renewable energy source. There are no drawbacks and many, many advantages to a solar panel installation. Not only can it benefit the home while the owner lives there, it can benefit them if they decide to sell the house, since it increases its value to prospective buyers. 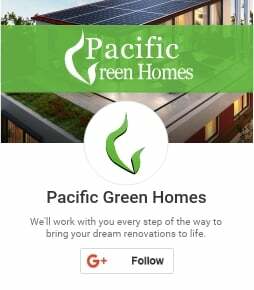 If you are interested in the benefits of solar panels for your home, then contact Pacific Green Homes for the expert advice and professional installation services you need.